Trademark Registration Jamaica is one of WDALAW’s preferred markets. Register your trademarks in Jamaica through WDA law firm. Our lawyers will register your trademarks with customized assistance 365 days a year. Contact us now! In the island of Jamaica, the Department responsible for maintaining public control of trademarks is the Jamaica Intellectual Property Office (JIPO). The service marks, collective marks, and brands are now registrable under the new legislation Jamaican. Jamaica is a member is a signatory country to the Paris Convention, which guarantees protection for well-known marks and gives the right to claim priority rights on the trademark applications. The New Trade Marks Act, 1999, which came into force on September 1, 2001, gives all the protection both to individuals and companies wishing to protect their trademarks and trade names in Jamaica. The registration period is 10 years and the entries may be renewable for equal periods. 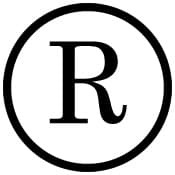 In the registration of trademarks and trade names in Jamaica time to be able to present an opposition to a published trademark application has been increased to 2 months, according to the provisions of the new industrial property law in Jamaica. The Certificate of Registration issued by the competent authorities after a trademark registration in Jamaica is valid for a period of ten (10) years and may be renewed within the time limits prescribed by Trademark law in Jamaica. For information on costs and professional fees for registering a trademark, commercial name or patent in Jamaica. Contact us now!